Prior knowledge of Flutter and Dart is not required. This is the second part of a two-part series on getting started with Flutter. You can find part one here. In this part, we’ll be setting up our machine for Flutter development and create a simple app. This tutorial assumes no previous knowledge of Flutter. Though you need to have previous programming experience in order to follow along. Specifically, you need to know basic object-oriented programming concepts such as variables, conditionals, loops, classes, and objects. Knowledge of the Dart language is optional. If you’ve done any sort of programming work previously, the syntax should be easy to pick up. We’ll be setting up the development environment in this tutorial so your machine doesn’t need to have Flutter installed already. This tutorial assumes that you know your way around the operating system you’re using. This means you should know how to add environment variables, and install different pieces of software. As you might already imagine, this app allows the user to view a list of dog photos. They can click on the floating action button to load a new photo which will get appended to the end of the list. You can find the full source code of the app on this GitHub repo. In this section, we’ll be setting up Flutter. There are sub-sections for the general setup, Android-specific, and iOS-specific setup. Note that you cannot develop for iOS if you’re on Windows or Linux. If you’re on Mac, you can develop both Android and iOS apps. This tutorial was tested on Windows 7, Ubuntu 16.04, and Mac OS High Sierra. But it should work as well if you’re using any other flavors or versions of those operating systems. 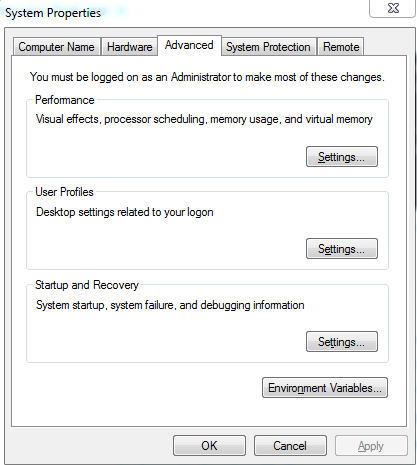 These are the steps you need to follow regardless of the operating system you’re using. Install Git and set up a user account. 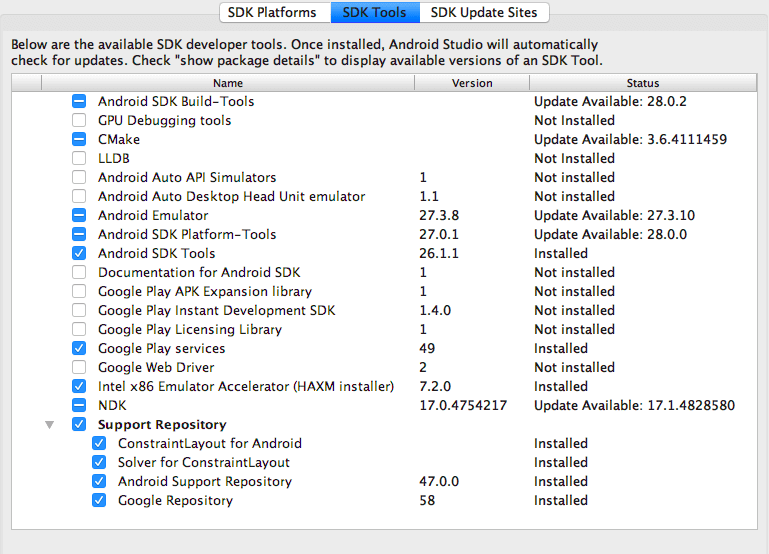 As for the Android platform, the only requirement is the Android SDK Platform 28. Download and install Genymotion emulator. You can also use the Android emulator in Android Studio if you want, but we’ll be using Genymotion in this tutorial. As for the virtual device, I had good luck with devices using API 19 and above. 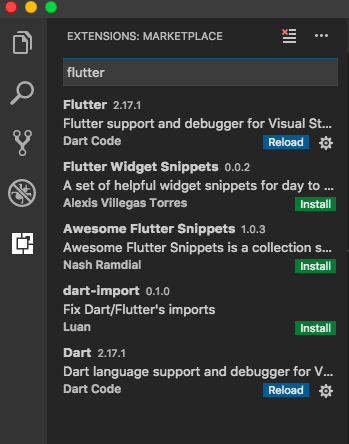 Flutter will also require the Flutter and Dart plugin for Android Studio, you can install those if you want but we’re not really going to use Android Studio in this tutorial so you can skip it. If you want to use Android Studio then go to Preferences → Plugins then click on Browse Repositories, search for “Flutter” and install it. This will ask you to install Dart as well so just agree. This section shows the steps to follow to setup Flutter on Mac. Mac OS High Sierra version 10.13.6 was used for testing. But it should also work if you have a lower or higher version of High Sierra installed. These are the general steps in setting up Flutter on Mac OS. Make sure that you have curl, and unzip installed. You can install these via Homebrew if you don’t already have them. Download the Flutter SDK from here. At the time of writing this tutorial, the most recent version is 0.6.0. Always stick with the latest available version. 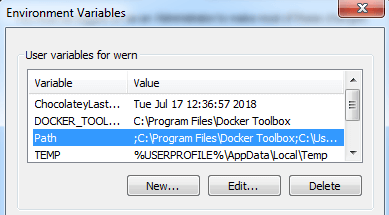 Copy the flutter folder to where you store your development tools. Mine is in the root of my user directory. After that, all you need to do is run flutter doctor --android-licenses and accepting the licenses by responding with y to each of the questions asked. Follow these steps if you want to develop iOS apps with Flutter. If you want to develop iOS apps with Flutter, install the latest stable version of Xcode via the App Store. Follow these steps if you’re using Windows. This was specifically tested on Windows 7 so there’s a high chance that it will work on higher versions of the OS as well. Download the latest copy of the Flutter SDK from the SDK Archive page for Windows. At the time of writing this tutorial, the latest is version 0.6.0. Once downloaded, extract the zip file and copy the resulting flutter folder to your C: drive. After copying, the resulting path should be C:\flutter and there should be a flutter_console.bat file at the root of that directory. Double-click on the flutter_console.bat file inside C:\flutter. This should open a new command line window. Run flutter doctor to check which system requirement you’re still lacking to develop Flutter apps. In my case, it required me to accept the licenses for Android by running flutter doctor --android-licenses and responding with y (yes) to all the licenses. flutter doctor should also complain about not having a connected device. To solve this, boot up the Genymotion or Android emulator and run flutter doctor again. The requirement for the Flutter and Dart plugin for Android Studio is optional because we’re not really going to use Android Studio to write code in this tutorial. Follow these steps if you’re on Ubuntu or any Linux distribution. Just execute the equivalent command for your particular flavor of Linux if it’s different. Ubuntu 16.04 LTS is used for testing. Before anything else, make sure to update the packages installed on your operating system first. You can do so by opening the software updater and installing all the relevant updates. Alternatively, you can also run sudo apt-get update from the terminal. Download the latest version of the Flutter SDK from the SDK archives page. At the time of writing this tutorial, the most recent version is 0.6.0. Extract the .tar.xz file in the root of your home directory. For me, it’s in /home/wern/flutter, where the flutter directory is the extracted folder containing a flutter_console.bat file in its root. Run flutter doctor to check your system for software requirements. If you followed the general setup, the only thing left for you to do is execute flutter doctor --android-licenses to accept the Android licenses. Just respond with y to all of those to accept it. Once the project is created, drag it into VS code. We’re using VS code because it has the most complete Flutter support (Dart syntax, code completion, debugging tools). The command above detects any running instance of an Android or iOS simulator so it should automatically pick up the one you launched beforehand. Anytime you make a change to the code and you want to preview the change, simply hit the r key while in the terminal window. This hot reloads the app but the state will still be retained. But if you notice that the change doesn’t appear, you might need to hit the Shift + R key to hot restart the app. Note that this wouldn’t retain the app state like hot reload does. If you find it cumbersome to be hitting the r key each time you make a change, consider going into debug mode in Visual Studio code. You can do that by going to Debug → Start Debugging, or simply hit Ctrl + Shift + F5 or ⌘ + Shift + F5 on your keyboard. While on debug mode, everytime you hit save, the app is hot reloaded so you don’t have to go back and forth between your text editor, simulator, and the terminal while you’re working. To have a better understanding of what’s going on, let’s break down the code above. This allows us to use widgets that implement Material Design. Among those are the MaterialApp, Scaffold, and AppBar widgets that we’re using above. The methods that we’re using are either part of a library you’ve imported, or part of the Flutter framework itself. Note that almost everything in Flutter is a widget, and each one can have its own set of properties and child widgets. So Center and Text are also widgets. But in this case, the library that we’re working with is a part of Flutter. 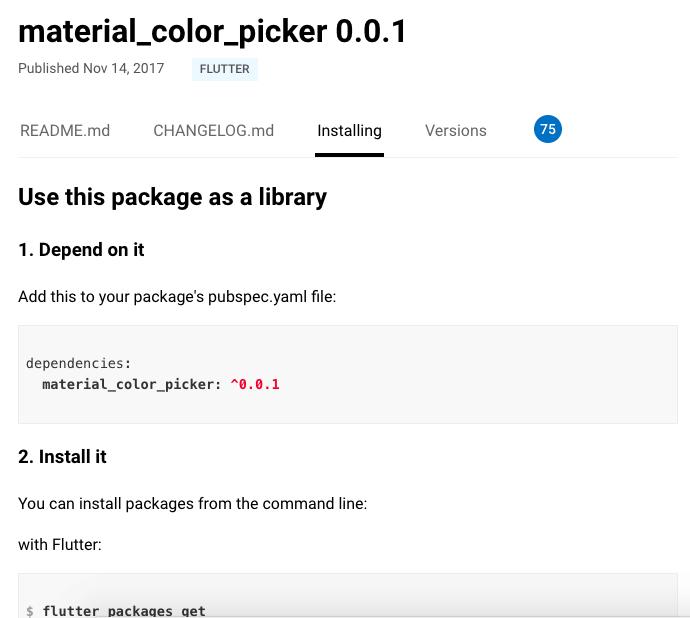 When we create a new app with flutter create, the Flutter library is already installed, and with that, the material library among others is also installed. Note that the MaterialApp widget doesn’t only allow us to use the Material Design theme, it also handles navigation and navigation animations. So the home property actually allows us to define the widget to render on the home route. For that, we’re using the Scaffold widget which provides the structure for the layout that we’re trying to build. Those are the basics of building the UI in Flutter. Basically, everything in Flutter is a widget. There are widgets used for specifying the UI structure (for example, Scaffold). There are also widgets that allow you to render something on the screen (for example, Text). Each widget can have their own child, and those child widgets can also have their own children and so on. The only caveat is that some widgets won’t accept just any child. For example, widgets like the Scaffold only accept a handful of widget types. If you’re like me and you’re coming from a framework like React Native, then you must be thinking that it’s a whole lot of work! And I agree with you. Building the UI of the app will definitely take longer especially if you’re just starting out. But once you get used to it, you’ll be productive in no time. This is where the documentation really shines because everything you need is literally just one search away. Now it’s time for us to build the app that we’ve set out to build, the dog lister app. For this, we’ll be using the same Flutter project that we created earlier. Go ahead and create those folders and files. Feel free to consult the GitHub repo as a basis. All of these lines should look familiar except for the second line if you haven’t previously worked with relative linking. In the first line, we’re trying to link a Flutter package, thus the package: prefix. But for Dart files that are inside the project directory, all you have to do is specify the path in which they’re stored. Container - used as a wrapper for other widgets for them to occupy the available space in the screen. In this case, we’re not really wrapping anything so it simply acts as a placeholder. If you don’t pass in another widget to a Container, it won’t actually occupy the screen. FloatingActionButton - this widget is used for creating, you guessed it, a floating action button! In case you’re not familiar, these are the buttons that seemingly hover over the rest of the UI. They’re usually circular in shape and are often used with the Icon widget. The FloatingActionButton widget is special because the Scaffold widget accepts it as a parameter. As mentioned earlier, not all widgets can accept all other types of widget. Aside from that, we’re also adding custom colors to the appBar and floatingActionButton widgets. In Flutter, colors are not represented using hex color codes, instead they’re represented in ARGB format. There are also color constants, which can be controlled to be lighter or darker based on the number you specify. Note that the Material theme comes with default colors which are automatically applied to some of the UI elements (for example, appBar and floatingActionButton), so by specifying a color, we’re basically overriding the default color assigned by the theme. In case you’re wondering why we had to create two separate classes just to implement a stateful widget, this is because of the way widgets work in Flutter. We already know that stateless widgets have this method called build. This method automatically gets called whenever the data that you pass to it gets updated from a parent widget. In effect, this wipes out the current state of that widget. And that’s why it’s called a stateless widget. That’s it for now. We’ll come back to this file later once we’ve created the widget for rendering a list of cards. Models in Dart allows us to define a new data type to be used inside our app. This provides structure and uniformity to the different kinds of data that we’re using inside the app. It also serves as a nice tool for documenting what type of data we’re expecting for the properties of an object. This is very useful when working on a collection of objects. The DogModel is extracting that message property to get the image URL. Later on, you’ll see how we’re actually passing the parsedJson to the DogModel. 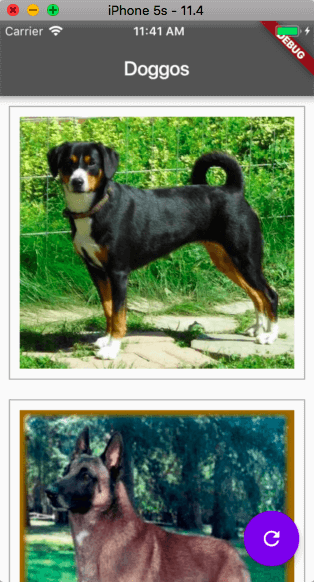 The CardList widget is used for rendering the cards which shows a dog picture. This is a stateless widget which depends on the data that comes from the lib/src/app.dart file. Next, add the build() function. Here we’re checking if there are any images in the list. If there is, then we use the ListView widget to render a list. This requires an itemCount and itemBuilder properties to be passed in. These are the total number of images in the list and the function for rendering each list item. The context and the item’s index is passed as an argument to the itemBuilder. This allows us to extract a specific index from the list. The context is a handle to the location of a widget in the widget tree. We don’t really have any use for it so I’m not going to expound further. decoration - used for painting things like borders, box shadows, and fills on the screen. In this case, we’re using it to surround the container with a grey border on all sides. padding - used for adding an empty space inside the surrounding area of the container. margin - used for adding an empty space outside the surrounding area of the container. If you’ve worked with CSS before, these concepts should look familiar. The only difference is the syntax that we’re using. As for the child, we’re rendering an Image widget. The network() method allows us to display an image from the internet, all it requires is the URL that points out to the image resource. Going back to the lib/src/app.dart file, we’re now ready to make use of the CardList widget. Note that these libraries come pre-installed when you create a new Flutter project. Some of these are libraries are really big like Dart’s HTTP library. That’s why we’re only extracting the get method from it. In Flutter, the setState() method is used for updating the state of a Stateful widget. Before we request for a new image, we update the state so the loader will show up, then we call it again once the image has been loaded, this time to add the new image to the list and hide the loader. That’s it! In this tutorial, you learned how to create your very first Flutter app. Along the way, you also learned some of the important Flutter concepts like stateful and stateless widgets, how to use Dart packages, how to make HTTP requests and parse JSON strings, and lastly, rendering things on the screen. That also concludes this series. I hope you gained the necessary knowledge in order to continue exploring Flutter. Flutter is a very young technology, so early adopters are really important for its growth. The more people who use Flutter, the better the technology gets.